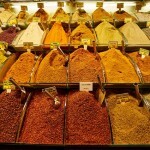 Ayurvedic Medicine | GreenHouse Health - Homeopathy, Integrative Medicine and so much more! Ayurvedic medicine (also called Ayurveda) is one of the world’s oldest medical systems and originated in India several thousand years ago. The term “Ayurveda” combines the Sanskrit words ayur (life) and veda (science or knowledge). Thus, Ayurveda means “the science of life. Many therapies used in Ayurvedic medicine are also used on their own as CAM—for example, herbs, massage, and specialized diets. Ayurvedic medicine has several key foundations that pertain to health and disease. These concepts have to do with universal interconnectedness, the body’s constitution (prakriti), and life forces (doshas). Health will be good if one’s mind and body are in harmony, and one’s interaction with the universe is natural and wholesome. Ayurvedic medicine also has specific beliefs about the body’s constitution. Constitution refers to a person’s general health, the likelihood of becoming out of balance, and the ability to resist and recover from disease or other health problems. Important characteristics of the prakriti are the three life forces or energies called doshas, which control the activities of the body. A person’s chances of developing certain types of diseases are thought to be related to the way doshas are balanced, the state of the physical body, and mental or lifestyle factors. 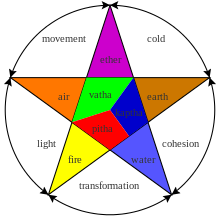 An imbalance of a dosha will produce symptoms that are unique to that dosha. Imbalances may be caused by a person’s age, unhealthy lifestyle, or diet; too much or too little mental and physical exertion; the seasons; or inadequate protection from the weather, chemicals, or germs. Ayurvedic treatment is tailored to each person’s constitution. Practitioners expect patients to be active participants because many Ayurvedic treatments require changes in diet, lifestyle, and habits. Checking the patient’s urine, stool, speech and voice, and pulse (each dosha is thought to make a particular kind of pulse). Eliminating impurities: A process called panchakarma is intended to cleanse the body by eliminating ama. Ama is described as an undigested food that sticks to tissues, interferes with normal functioning of the body, and leads to disease. Panchakarma focuses on eliminating ama through the digestive tract and the respiratory system. Enemas, massage, medical oils administered in a nasal spray, and other methods may be used. Reducing symptoms: The practitioner may suggest various options, including physical exercises, stretching, breathing exercises, meditation, massage, lying in the sun, and changing the diet. The patient may take certain herbs—often with honey, to make them easier to digest. Sometimes diets are restricted to certain foods. Very small amounts of metal and mineral preparations, such as gold or iron, also may be given. Increasing resistance to disease: The practitioner may combine several herbs, proteins, minerals, and vitamins in tonics to improve digestion and increase appetite and immunity. These tonics are based on formulas from ancient texts. Reducing worry and increasing harmony: Ayurvedic medicine emphasizes mental nurturing and spiritual healing. 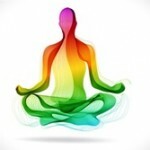 Practitioners may recommend avoiding situations that cause worry and using techniques that promote release of negative emotions. 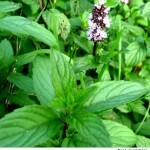 Use of plants: Ayurvedic treatments rely heavily on herbs and other plants—including oils and common spices. Currently, more than 600 herbal formulas and 250 single plant drugs are included in the “pharmacy” of Ayurvedic treatments. Historically, Ayurvedic medicine has grouped plant compounds into categories according to their effects (for example, healing, promoting vitality, or relieving pain). Sometimes, botanicals are mixed with metals or other naturally occurring substances to make formulas prepared according to specific Ayurvedic text procedures; such preparations involve several herbs and herbal extracts and precise heat treatment.